Steve created SMC, Digital Plumbers and FREE. He was the founding chairman of CEDIA UK. He trained as an architect and specialises in helping demanding clients get the most out of technology in buildings. His current area of focus is the design of simple, robust, smarthome solutions for ordinary people. SMC is a London-based systems integrator, offering beautiful, simple and reliable integrated technology solutions and 24/7 support for residential and other customers. This ISO and NSI accredited company has around 70 staff, including an architect, designers, programmers, sales consultants, project managers, security specialists and installation technicians. Operating in various sectors worldwide, SMC has been the recipient of a number of awards, including CEDIA's "Worldwide Dealer of The Year” award, AMX's "best international integrated home", Crestron’s “best multi-dwelling installation” and numerous other awards for integrated home installations. Digital Plumbers produce a blindingly simple, low-cost structured wiring system for volume housebuilders and the DIY market, offering the most flexibility with the least complicated installation. 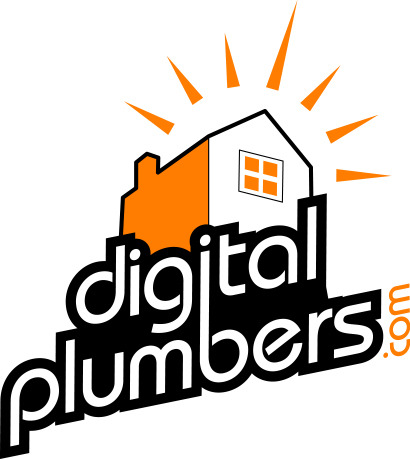 For those people tormented by technology Digital Plumbers also offer an in-home technology support service for normal people, without geek-speak. The first wireless audiophile-quality loudspeakers. Designed to work with SONOS™ or Apple Airport Express™, these exclusive, beautifully detailed active speakers are available in a silky white or discreet black finish, switchable between 115v and 230v. airremote™ was the first iPhone home control app - launched in 2008 before the app store itself - allowing users to operate TV, video music and lighting systems using iPod® Touch or iPhone™. A beautiful, reliable all-in-one remote, using the robust, upgradeable Apple® platform it worked directly or communicated over IP with AMX or Crestron to give an inexpensive solution for areas which need a simple handset. The AirRemote team subsequently designed apps for Lutron and many other companies. "Steve's extensive technical knowledge and creative application has placed him as one of the thought leaders in the audio, visual and digitally connected space. Always willing to share information, and to help others, Steve is regarded as one of the ambassadors of the industry and forever contributes to positively shaping the digital space, both from an individual client to an industry wide level." "Steve provided expert advice demonstrating the various technologies and overseeing the selection and management of system integration companies. This was all done in a friendly manner demystifying complexities enabling our non-technical client to make informed decisions." “Steve Moore not only works within our industry, in my option he is one of the small few that over the years has helped to shape it. Although we work for entirely different companies, I on occasions still call Steve and ask for advice and help, as he is someone whose opinion and views I respect enormously. Steve's high industry standing, along with his very humble demeanor, mean that engaging with him you know you have one of the best and most experienced people available. All in all, I am very proud to call Steve a friend." We focus on the use of technology, especially when part of an integrated building or retail solution, consulting on a wide range of technology-related topics, including audio, video, cinema, computing, security, structured-wiring, access control, lighting and voice & data systems. We take a customer-centric, omni-channel view and solve for reliability, simplicity and joy. A variety of companies and private individuals use our services when looking for advice on how technology will affect their future. If you need practical help specifying and managing technological requirements for commercial or residential projects please contact us - we specialise in providing simple, good-value, reliable solutions. Steve also runs training courses, and presents on technology and other topics worldwide. Please get in touch if you would like to book an inspirational speaker for a residential or retail technology event.